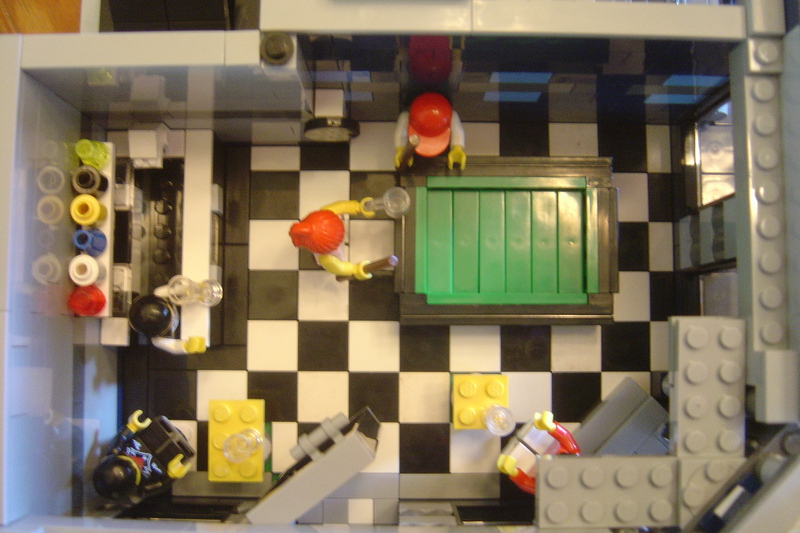 Brick Town Talk: Englandsf's Cafe Interior - LEGO Town, Architecture, Building Tips, Inspiration Ideas, and more! Whoa, thats pretty cool. It's a real challenge to try and fit an interior into such a small space without everything seeming cramped. But this guy pulled it off nicely. The billiard table is sweet. 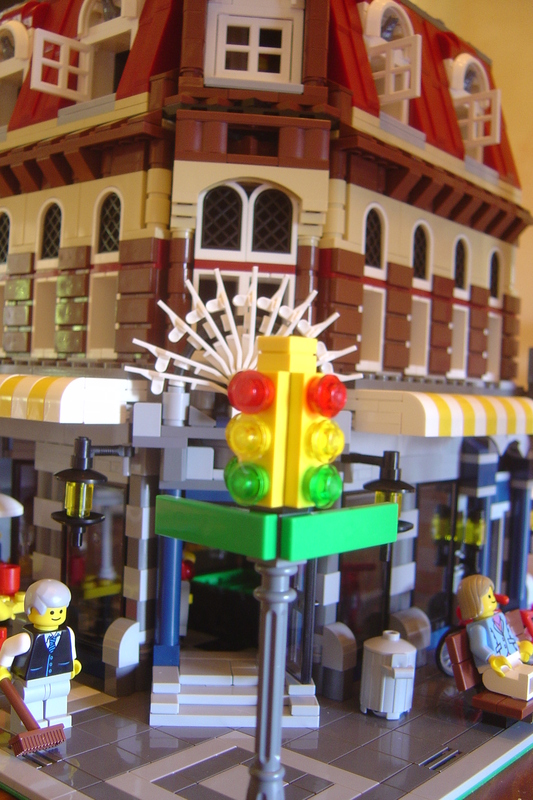 You may not find one at the local coffee shop here in Billund, but it definitely adds to the fun factor.